Not all baby clothing subscription boxes are created equal,some soar to the top from the moment you receive them. 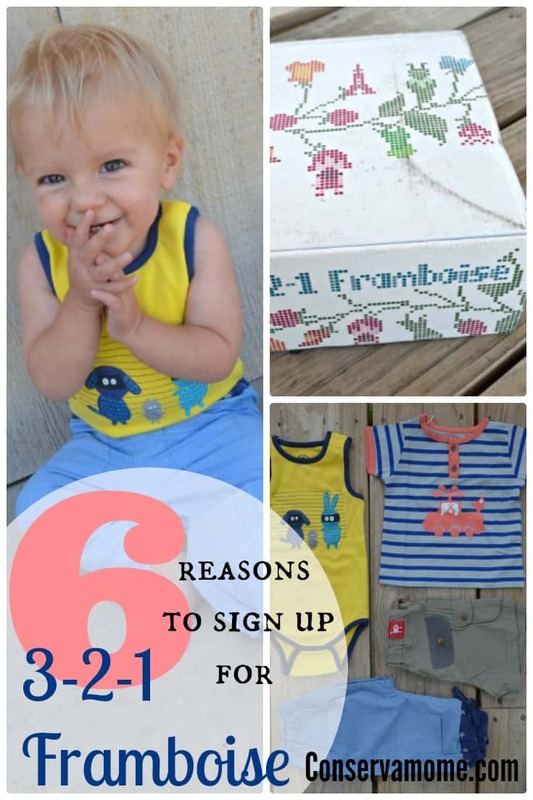 Find out 6 reasons why you need 3-2-1 Framboise monthly subscription box . 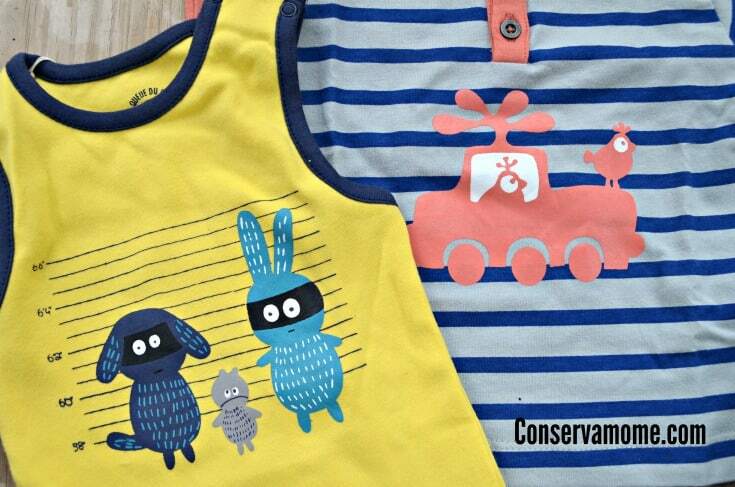 I’ve teamed up with 3-2-1 Framboise to show you why this European Brand of Kid’s Clothing will blow you away! Although this is a sponsored post, my love of this brand is 100% mine. Lets all take a moment to relish in the loveliness of this box. I want all my packages to arrive this beautifully. The attention to detail in the packaging alone makes me love 3-2-1 Framboise. Doesn’t it just scream “someone thoughtful created me”? The contents of the box made my love deeper but we’ll talk about that in a sec. 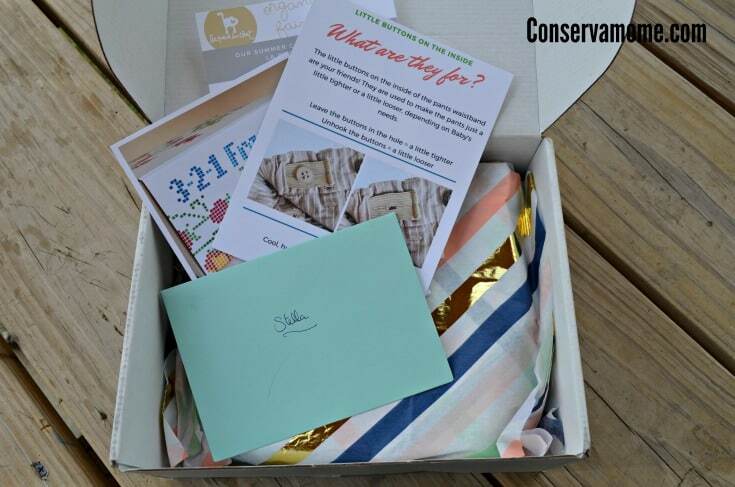 The cute cross stitch pattern on the box, the gorgeous tissue paper the clothes were delicately wrapped in, everything about the presentation is perfect. Everything about getting this package in the mail is as luxurious as mail can be. I want a package this lovely to arrive at my house every month. The clothes are timeless and beautiful. I can easily see our clothes from 3-2-1 Framboise being heirloom pieces that each of our (hopefully) upcoming children will wear and maybe one day my grand children can wear them. 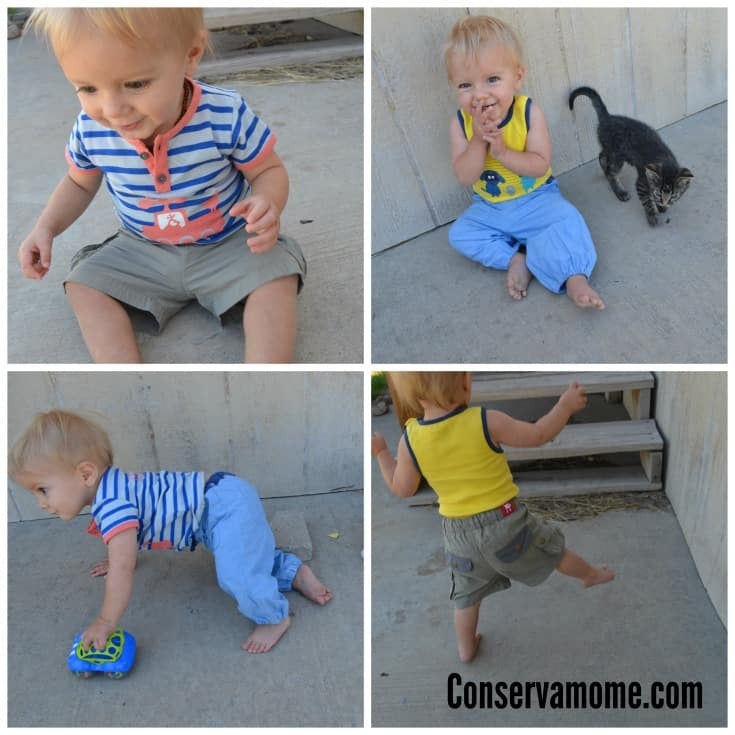 Heck, I would put these outfits on a little girl if one ever makes an appearance in our family. I love that the colors are vibrant and not stereotypical at all. If you know someone who is expecting, a one month subscription or a gift card would be a great gift. If you’re a doting grandparent a three month (or longer) subscription would be a thoughtful way to gift the parents to be. 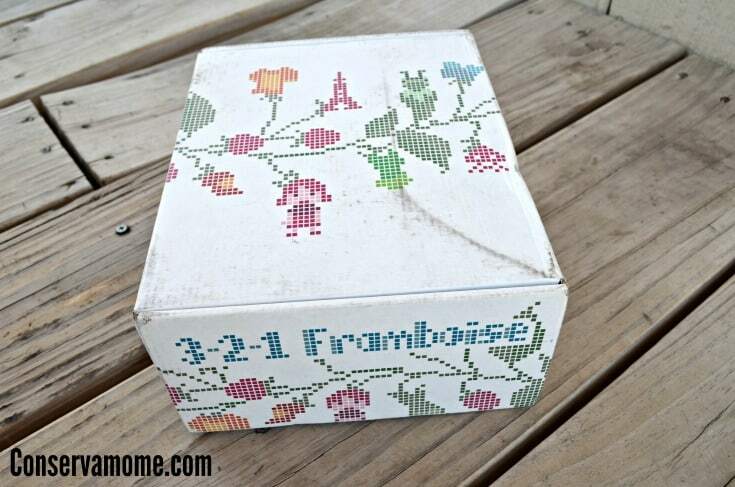 You can’t go wrong by choosing to give a 3-2-1 Framboise box. Each piece from the summer collection matches all the other summer collection pieces. So the pieces you get in July will match the ones you get in August. And the best part is that you get to take a style quiz before ordering so the outfits you receive will be personalized to your baby’s style. Essentially you’re building a gorgeous wardrobe for your little and you don’t even have to leave your house. If that’s not a good reason to check out 3-2-1 Framboise I don’t know what is. Skip the crowded stores and prop your feet up while you wait for each month’s delivery. Even better, 3-2-1 Framboise will automatically account for your child’s growth and send you the next size up when it’s time! 3-2-1 Framboise is committed to organic fibers and fair trade. Parents can be confident that each piece of clothing from 3-2-1 Framboise is made out of organic cotton in an ethical fashion. 3-2-1 Framboise never sends out clothes that are made in China. The seams are perfect. The labeling is cute without being gaudy. The feel of the fabric in my hand makes me want to take a European vacation and eat nothing but cheese and drink nothing but wine. Okay, most days I only want cheese and wine… but, whatever. What I’m saying is, the quality of thought that went into these garments is beautiful. You won’t be disappointed. 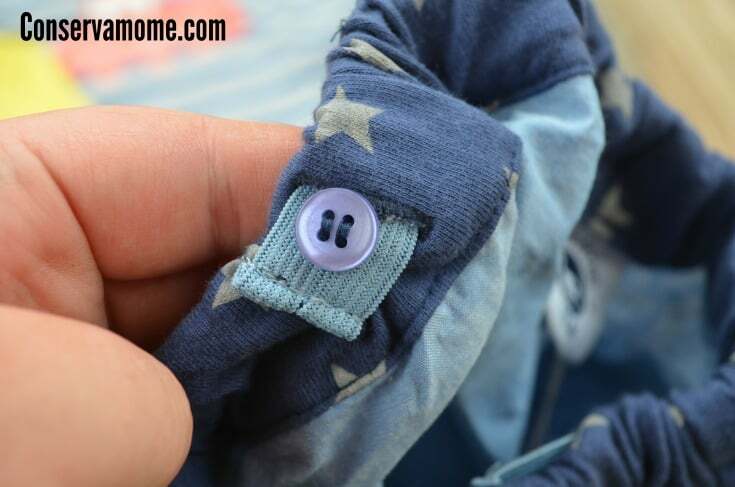 I can’t tell you how giddy I was when I realized that the drawstrings on the pants and the shorts were REAL DRAWSTRINGS and not just that fake little decoration on other clothes, baby and adult, that make me madder than a wet hen. 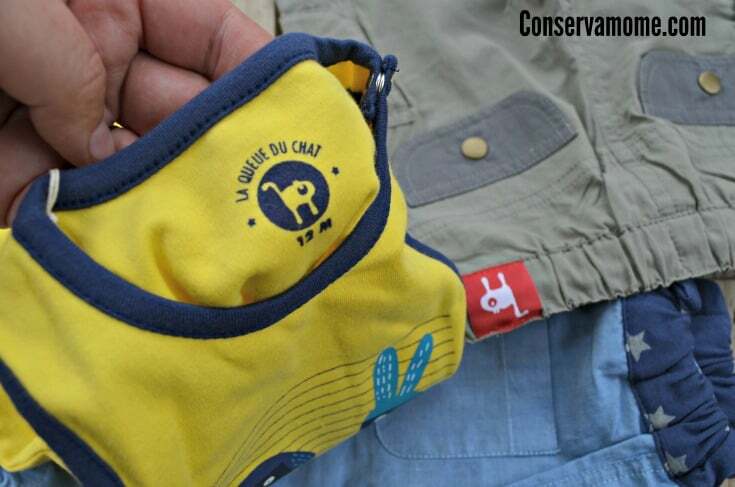 The pants that came in my order (shout out to La Queue du Chat, the designer) had this awesome little button that could tighten or loosen the waistband so the pants could fit for a longer span of time. Genius. 3-2-1 Framboise sources from several different European designers but don’t worry, you’ll never receive a product that isn’t of the highest quality. Trust me, you’re not going to find anything like this at a big box store. Plus, I think even the most patriotic American can agree that France is more stylish than we are. 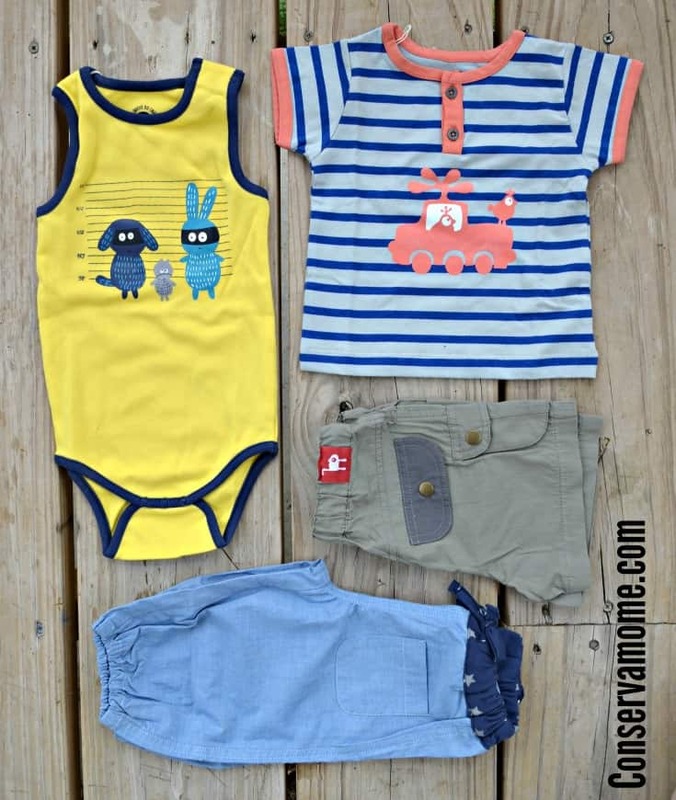 3-2-1 Framboise is offering American parents the opportunity to dress their offspring in fun, fresh, fashionable clothes from some of Europe’s best designers without spending hours scouring the web or flying across the Atlantic. Honestly, I love the ease of this service because my family lives in an extremely rural place. I love that I can purchase from 3-2-1 Framboise without leaving home and get clothes that are much nicer than anything I could find locally. So, there it is folks, 6 reasons to sign up for 3-2-1 Framboise. I’m so excited to tell you that Celine has generously offered Conservamome.com readers 10% off the purchase of their first 3-2-1 Framboise box! Type in JUST4U at check-out to receive your discount. To order your box, learn more about the company, or to see previous boxes check out 3-2-1 Framboise’s website. 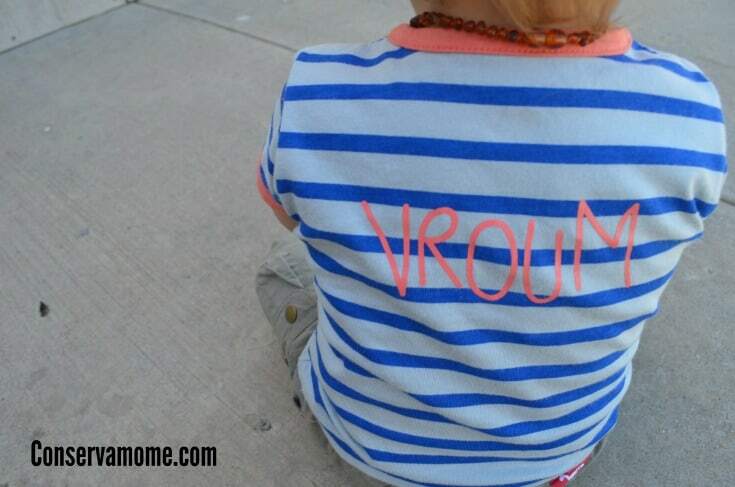 Your tiny human is about to get a whole lot of style! Most important don’t forget to get social with 3-2-1 Framboise on Facebook, Twitter, and Instagram. These look so darling. My grandson loves anything with cars and animals so he would enjoy showing off the designs. Nice to know that these are well made and will last. I agree the subscription would make a fine gift choice.